Dr Galestan Yan Ghazikhanian (Yan) was employed at Nicholas Turkey Breeding Farms (NTBF) for 33 years (1974-2007). He served NTBF in the capacity of staff veterinarian and later as Vice President and Director of Veterinary Medicine. Yan was officially retired from NTBF on May 31, 2007. For the time being, Yan is a retained consultant with Aviagen Turkeys (AT), formerly known as NTBF, as a member of the AT technical team. 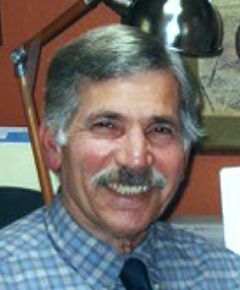 Yan received his DVM from the University of Tehran, Iran, at the top of his class. He journeyed to the USA to continue his higher education under a scholarship awards foundation. He received his MS and PhD in Comparative Pathology from the University of California, David (UCD). Yan is a Charter member and Diplomate of the American College of Poultry Veterinarians (ACPV). In 1972-74, as a director of a mobile laboratory, he worked at the USDA/APHIS/VS, participating in the eradication of Velogenic Viscerotropic Newcastle disease (VVND) from the Southern California poultry industry. During his professional career with NTBF, Yan researched and coordinated the eradication of M. meleagridis, M. synoviae, M. iowae, S. arizonae and S. reading from NTBF basic primary breeding stocks, which impacted on turkey health and performance. Yan has travelled widely in the USA, Europe and South America; visiting turkey companies, attending to customers technical needs in turkey health management and attending trade and scientific associations and delivering technical presentations.